The new Mayor of Brighton & Hove is Councillor Lynda Hyde. She was elected by the other councillors at the Annual Council Meeting on 21 May 2015. Her term of office is for one year until the next Annual Council Meeting in May 2016. Councillor Hyde, who was first elected to the council sixteen years ago, will be supported during her mayoral year by her daughter, Alison. 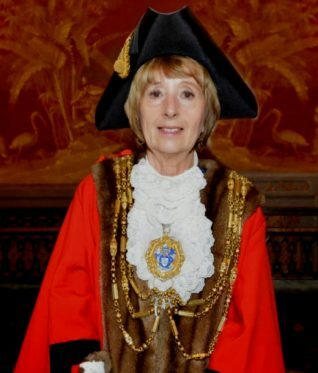 The Argus Appeal, The Martlets Hospice and the Grace Eyre Foundation have been named as the Mayor’s three nominated charities. You can read about these charities and any forthcoming events on the Brighton and Hove City Council website here. Congratulations! It feels like more than twenty years since you campaigned in my road.